We live the twilight of the constellation MICHELÍN. It may seem a risky statement and, of course, It is a controversial and risky statement, but mine: I think that We live firsthand the decline of the constellation MICHELÍN. 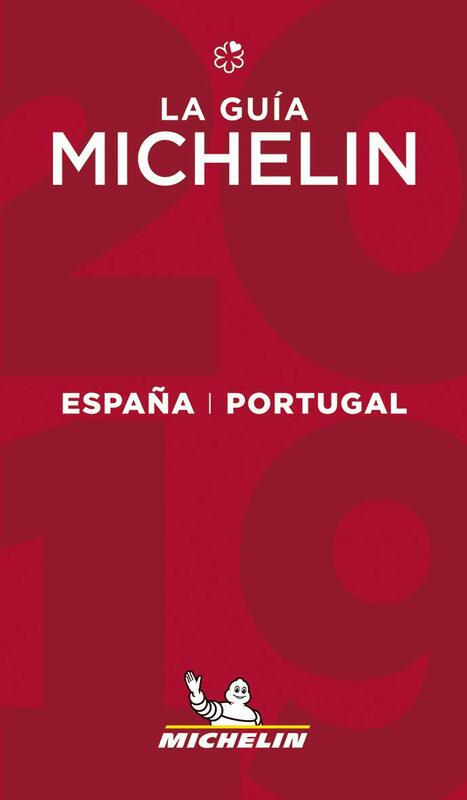 MICHELIN GUIDE It began as a directory of restaurants and support for travelers, over time, a job well done and an excellent marketing strategy and for many years It is the international benchmark for haute cuisine. The rating in the Michelin guide has become the indicator of the position of a restaurant in the constellation of the great restaurants in the world, Besides, obviously, among those nearby. There is no doubt that all, where I include, We turn to the MICHELÍN listings to find a restaurant. My doubts, instead, emanating from the following reflection: Are we looking for a good restaurant in the Michelin Guide or look for a restaurant of a particular type? I've never cheated out of a restaurant with the Michelin stamp, but on several occasions I was disappointed a starry. In both cases I value different issues and, and hence many market indicators part of my statement: MICHELIN constellation walks into the sunset in the way we know it. They are what It is known as haute cuisine. complex dishes with many ingredients and different cooking techniques, sophisticated presentations, exclusive tableware, always noble ingredients and new flavors, textures or combinations. They feel compelled to innovate each season, with a new full menu, increasingly innovative and disruptive year. The creative process is essential. Presented as the main option (and practically only) tasting menus with many countries. It is a complex ritual, long, responding to a story telling well worked and where all countries are presented, bringing attention diner and collaboration it is required. Present wine pairings and other beverages to complement the menus with gastronomic criteria. They tend to seem unattainable without reservation. Advance booking is almost inexcusable attribute a starry restaurant. They are high or very high price. I do not say expensive, I think it worth the money and, sometimes even less, but from my point of view and statistical certifican- They are not accessible to most people and is within reach of very few visiting several of them in a year. In recent years, all kinds of social trends, economic, technological and food have gone through different paths to the universe Michelín. Many of the people who wanted and could economically access to visit estrellados restaurants have done, They have lived those experiences. further, while still small percentage of the population that can access eat in a restaurant starry, it has grown in recent 20 years and the exclusivity of the visit or the social role of stellate who visit restaurants is not as elitist as before. Investments are very expensive and small target audience and low repetition rates. Accounts rarely leave. Part of the magic of the universe michelín has already revealed his trick, many people have had the experience and has already proven haute cuisine tasting menus comfortable environments. All trends are more towards the product to technical. You are paying more satisfying an excellent product that a complex technical process. Monoproduct premium restaurants are gaining market shares against gastronomic. Long tasting menus, sometimes with complex digestions, They are losing market share against the most frugal and simple alternatives. 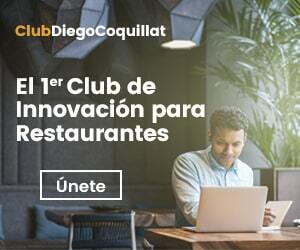 The customer wants to decide what they consume at all times, the up to you to define the millennials is imposed michelín and menus are very flexible by definition. Large protocols starting with complex processes Reserve not fit with a casual society and with many options to choose from. Customers want an experience that goes far beyond the creativity and complexity of the dish. Visiting a michelin restaurant has to be experiential service, environment, surprise…And many restaurants are naked michelín this attribute by offering classic rooms and a neat service very Aseptic. The customer goes to a restaurant to enjoy high-priced, an experience and socialize. Increasingly less interested in the continuous cuts of experience in the restaurant for the explanation of dishes, wines, etc… Now it is perceived almost as a nuisance. further in the last decade they have landed in our cities dozens and dozens of excellent chef 's kitchen, from the constellation michelín they have local open more casual cuisine, affordable and rich, because they know the enormous risk of seeking to be "starred" Michelin and run crash (pardon the joke facilón)…and the result is that many gastronomic techniques, dishes with innovative touches and surprises are just around the corner in these small bars and restaurants is growing Why visit both a restaurant with stars if I have part of the experience at the corner of home at a great price? I think that we will live a temporary boom triestrellados and biestrellados to meet the demand of exclusivity and elitism (legitimate and profitable)…and that the universe restaurants a guiding star will go towards creating experiences beyond gastronomy, restaurants more oriented towards product and that what they do is very good and is provided no to the culture of innovation eternal.